Do you love Melaka history? Do you want to find more about the Melaka royal family? 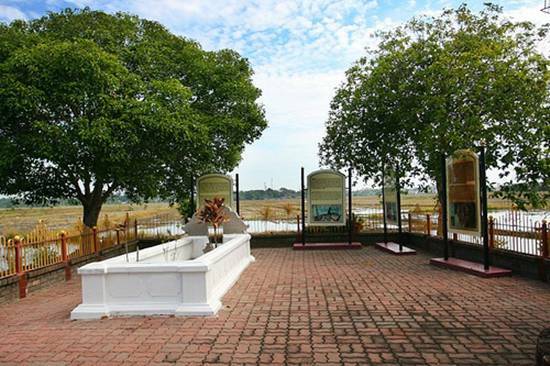 I suggest you to visit Tun Teja tomb at Solok Menteja, Pengkalan Samak, Merlimau for you to find out more about the Melaka royal family. Tun Teja’s real name was Tun Teja Ratna Benggal, daughter of the Pahang Prime Minister at the end of 15 century. She was really kind and well-mannered. Her beauty also stoods out. Because of her character, she was proposed by the Sultan of Pahang, Sultan Abdul Jamil. They got engaged. However, the news of Tun Teja’s beauty reached Sultan Mahmud, the Sultan of Melaka. He wanted Tun Teja to be his wife. Then, he commanded his people to bring Tun Teja from Pahang to Melaka. There were two version on who did brought Tun Teja to Melaka; by Hang Nadim and Hang Tuah. Whoever brought her to Melaka managed to complete the mission. Tun Teja was finally married to Sultan Mahmud. In 1511, the Portuguese attacked Melaka. When the situation became worst, all the Melaka ministers advised Sultan Mahmud to move to Kayu Ara palace in Bertam Hulu. At that time, Sultan Mahmud already hand over his throne to his son, Sultan Ahmad. At Kayu Ara palace, Tun Teja was dying. The Portuguese planned to attack the palace and forced Sultan Mahmud to back off further and he went to Muar. 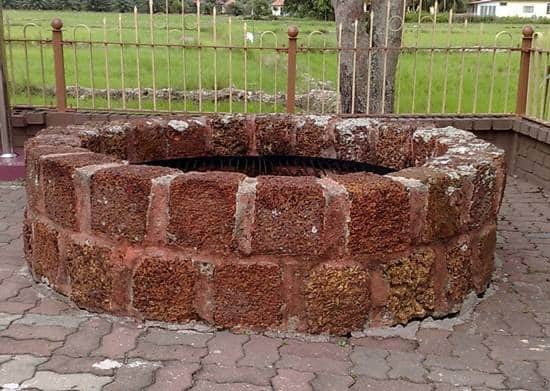 How did Tun Teja end up being buried in Merlimau? When Tun Teja was dying, Sultan Mahmud ordered his people to carry her using carrier. From Bertam, Sultan and his people went to Batu Hampar together with his advisor, the army leader, his wives, his royal family and the ministers. From Batu Hampar to Merlimau, they went through Bukit Katil, Duyung, Teluk Mas, Serkam and Umbai. Along the journey, Sultan Mahmud felt that Tun Teja already at the end of her life. He commanded his people to stop and made a resting place there. That place is known today as Pengkalan Samak. This place before was really near to sea, which was about 20m to 30m from the sea. However, due to the local people doing the agriculture activity, the beach is further than its original place. Tun Teja in the end died at the mat witnessed by Sultan and his followers. They wanted to respect the death and did not want the body to decayed, Sultan Mahmud decided to bury her there. After three days mourn there, they continue their journey to Muar. For Muslim people, we should go and pay respect to the people who already death. Besides that, you will also learn more about her history because there were boards told about her story at the tomb. There also an old well there. The place is situated about 100m from the road and just beside the paddy field will give you a pleasure of village feel. You can also enjoy splendid scenery of matured paddy field if you came at the right time. You can also enjoy watched this village which being given name because of woman who died here, Tun Teja.